Challenges are omnipresent, often they find us in the middle of nowhere! But, how often do we reach out to a challenge? With a determination of challenging the challenge itself? What resistances do we face? More of physical or mental? How often do we win, or do we even think that we will overcome the challenge? We may unanimously agree that the challenges are difficult, they test us at various levels from integrity to strength, from the ability to relations, from what to what not, but are the challenges insurmountable? Always? That may vary from situation to situation for many of us, but in this third planet from the Sun there are many individuals who have defied challenges. 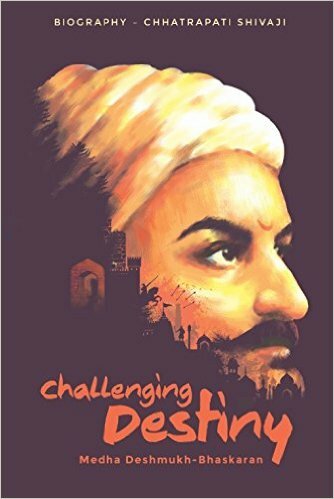 One such person who challenged the challenges and the destiny was Chhatrapati Shivaji Maharaj, The Maratha Warrior and I recently read a book rather a biography on him, Challenging Destiny - Biography - Chhatrapati Shivaji written by author Medha Deshmukh-Bhaskaran. 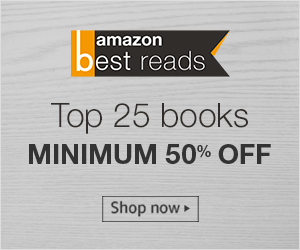 The biography is a nearly detailed account of Chhatrapati Shivaji Maharaj's life and is beautifully drafted to keep you engaged with it throughout. The cover of the trailer is fascinating and so is the book trailer. P.S: Timeline Of Events at the end of the book is a quick revision and can be used as a future reference. The book Challenging Destiny starts with a dedication to all the soldiers who have laid down their lives in the line of duty for our country and what better dedication than this in a book about someone who himself was a warrior, a soldier first then the King. If you are someone who has grown up in Maharashtra, you would already know a lot about Chhatrapati Shivaji Mahraj. For many, he is a festival within himself, a festival of integrity, a carnival of belonging and a celebration of compassion. Challenging Destiny by Medha Deshmukh-Bhaskaran is laudable effort first for putting all the research information and the legends in one together and secondly for the narration. The book Challenging Destiny not only answer the how's of Chhatrapati Shivaji Maharaj's life, but also the why's, when's, what's and the where's. Though in certain places there are typo's and editing issues, but that can be ignored in the hope that they will be addressed in the upcoming editions. Challenging Destiny, the book, is not only text but also pictorial with family trees, kingdom maps, system charts, battle formation maps, etc. which add more life to the narration and increases the relevance to understanding. The book talks about the challenges and their overcoming with efforts, strategic planning, undivided attention and dedication. It also tells us about the personality of Chhatrpati Shivaji Maharaj, the fierce character that he was, the love for the family, for the army, for the people and above all the motherland. The book, Challenging Destiny, is also about the values and the upbringing of Chhatrapati Shivaji Maharaj, the culture, the valor and the courage that he follows and displays. The stories of conquering by will, outsmarting the opponent, equality and loyalty, forts, policies, equality and empowerment are inspiring and thought provoking. I would recommend this book to anyone looking for an eventful account on the life Chhatrapati Shivaji Maharaj or has a keen interest toward non-fiction or history.